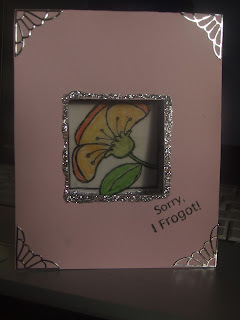 I made this mini card for my mum. I forgot her birthday ( which was on 10th). As she is in India, I will email the pic to her. I stamped hero arts flower image on a translucent vellum piece and coloured with water colour pencils. I worked on the vellum for the first time, and liked it. I think I am going to try soem more projects. 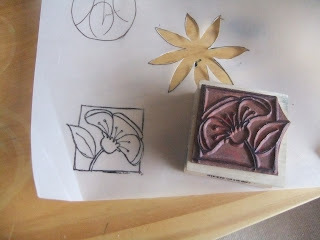 I love stamping on vellum, I did that on my project too. Your mom will love her e-mailed version of the card! It's very pretty! Lovely card! The technique you used is very interesting! What a beautiful card!! I love the look of the stamp on vellum and the silver accents are so pretty!! Thanks so much for stopping by my blog for the Blends Join Hands Blog Hop!! I'm a new follower and I look forward to seeing your future creations!! 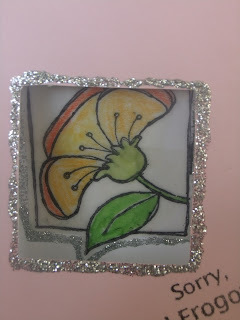 Beautiful Card - I don't thinks she'll mind that it's late - it is worth the wait! Thanks for sharing with us at Frosted Designs! 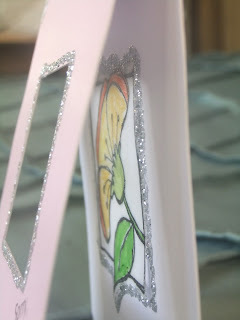 What a lovely card, always wander how to use vellum but it looks lovely with stamped image on it :) might have to try that :) thank you for joining in with our mini challenge at Creative Craft World. Thanks for sharing your lovely card with us at Creative Craft World. Oh how pretty! Thank you for joining in our mini challenge at Creative Craft World. Lovely card! Thanks for joining in with us at CCW.